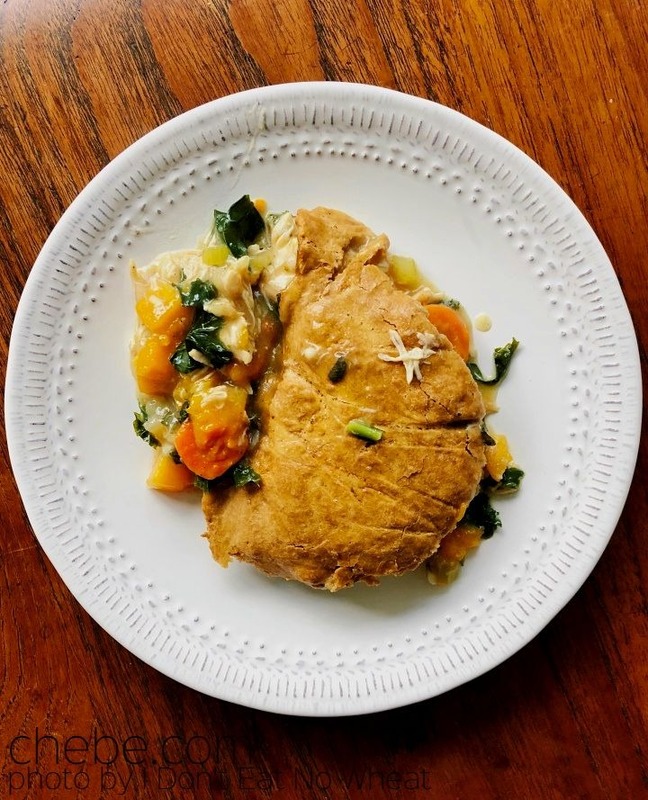 “In my opinion, chicken pot pie epitomizes comfort food but can be a bit heavy. I decided to play around with a typical chicken pot pie recipe, lighten it up, and add in some fall flavors. 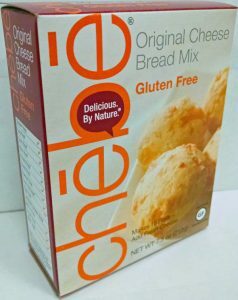 In a medium mixing bowl whisk together Chēbē All Purpose Baking mix and baking soda. Using a fork, mash the butter into the flour mixture until it is crumbly and well incorporated. Add in eggs, milk and water and mix until stretchy and smooth. Form mixture into a ball. If the dough is a bit dry, add in more milk 1 Tbsp at a time. Cut two large pieces of parchment paper and lay dough between them. Roll into a 12 inch round and place it in the freezer while you finish the filling portion of the recipe (leave it between the parchment paper). In a large oven-proof skillet, heat oil over medium heat. Add in onions and sauté until they start to soften, about 5 minutes. 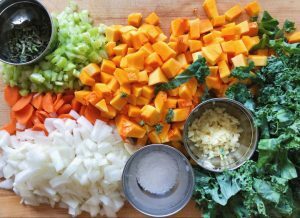 Once softened, add in garlic, sage, carrots, celery, and squash. Sauté until the celery begins to turn translucent, about 5 more minutes. Add in kale and sauté until it just starts to wilt. Sprinkle flour over the vegetables, stir until combined. Pour in chicken broth; bring to a boil. Reduce to a simmer and stir constantly until the mixture begins to thicken, about 5 minutes. Once thickened, turn off the heat and add shredded chicken. Remove dough from freezer and peel off parchment paper. Lay dough round over the top of the filling mixture in the skillet. Place the skillet in the oven and bake for 35 – 40 minutes until the crust is golden brown and the filling is bubbly. Remove from oven and allow the pie to cool for 15 minute before serving. Enjoy!